fivetwo beauty: Lee Stafford CHoPstick STYLER + GIVEAWAY!!! is a great way to change your look dramatically without all the fuss. 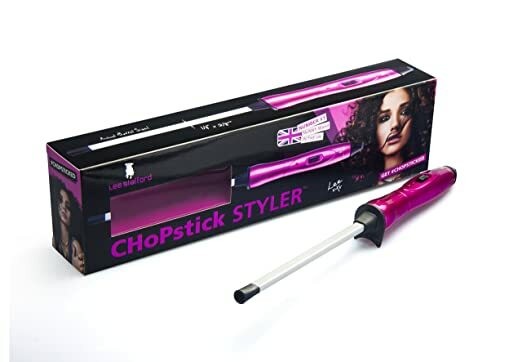 "Get corkscrew curls straight from the catwalk with Lee Stafford Original CHoPstick STYLER." Lee Stafford is a successful hairdresser from England. He has won multiple awards as a hairdresser which are all listed in his website. He also have his own line of hair care products that launched in 2001, and recently just launched in the U.S through Amazon! This great curling wand has an extra skinny rectangular barrel so you can get the exact tight curls with a perfect grip. What's more, the wand has a very fast heat up time and a maximum temperature of 450˚Fahrenheit for great results. Complete with a swivel cord for great maneuverability. I like using the Bb. Hairdresser Invisible Oil Heat/UV Protective PRIMER which keeps my curls last longer compared to the CHIA hair protectant. By day two, the curls are loser which looks actually better than day 1! And to re-style my hair for day two, I use the John Frieda FRIZZ EASE Secret Weapon Touch-Up Crème. This takes the frizz away, helps re-define the curls and gives it a nice shine. This smells really good too! I also use MoroccanOil Treatment on the ends to condition the hair and add more shine. This look takes me back to the 80's and dance to Madonna's 80's hits. It's a fun look! 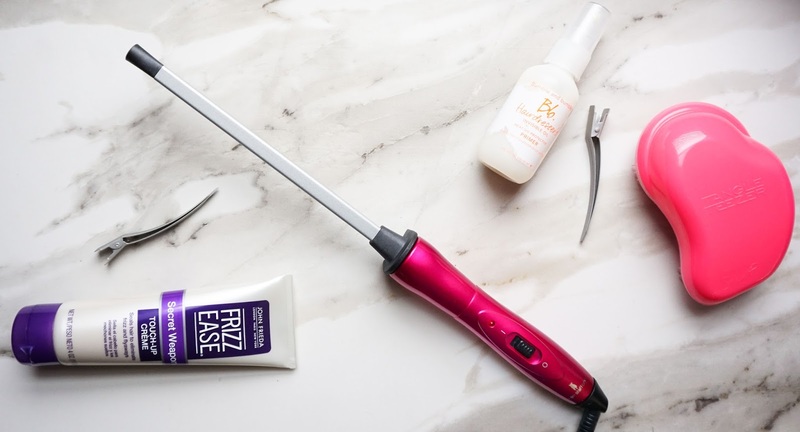 I love that this is super easy to use that's if - IF you are used to using clip-less curling wands. I did use the glove that it came with this the first few times I used this since I'm not used to using a really small curling wand. Practice a few times with the wand before turning it on. After that, this has been such a breeze to use! Plug it in, turn it on and you're ready to curl! My only con about this is it gets hot up to 450˚F and there's no way to turn it down. So be very careful not to burn yourself and don't leave it on your hair for more than 5 seconds. It's a fun look, but I wouldn't use it too often on my hair since I do have fine hair, which may get damaged easily from the heat. I always curl away from the face, and not all the way from the root. An inch away from the root is a good start. With this curling wand, I take 1/2" of hair to curl, and leave this on the wand for 3-5 seconds. If you want loser curls, just wrap the hair and once you reach the end, unwrap the hair right away. Once you're done curling, run your hands gently through the curls and style it as you like. On the day I wash the curls away (day 3 hair), I give my hair a hair mask treatment and give it a week 'til the next time I apply heat again to my hair. This starts today and ends on Jan. 25, 2017 (Wednesday). This is open to all legal residents of the United States and Canada only, 16 and older. 1 Winner will be picked randomly by the Sponsor and will be notified by email at the email address provided in the entry.